Use these motorized dampers with a thermostat or building automation system to automatically regulate hot or cold airflow in supply or exhaust applications. 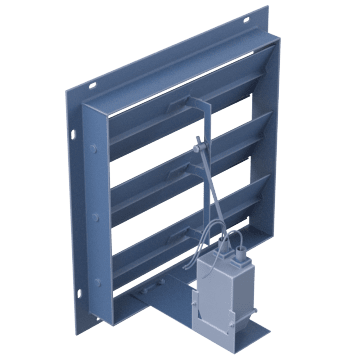 They are ideal for use where dampers are out of reach, where they are required to work against the flow of air, or where manual control is impractical. 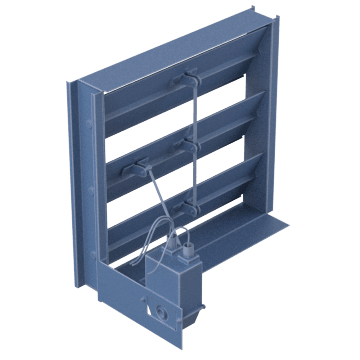 These dampers work in low pressure applications with sidewall propeller fans, sidewall exhaust fans, and centrifugal utility fans. 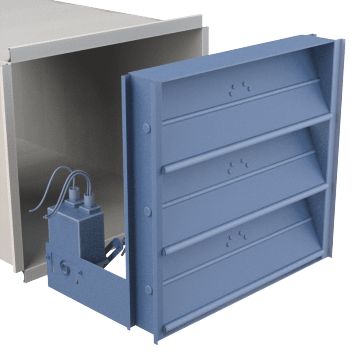 Also known as hat channel dampers, these units control air volume in HVAC and other medium pressure applications. They mount into walls or ducts.